Tom Yum is the king of Thai food!!! You can try the original Tom Yum in many different styles. I really love to try all the best Tom Yums there are and now, I want to share them with everyone. Prepare your stomach and let's eat some Tom Yum!! Let's start the tour by sampling Tom Yum noodles (pork). Time for some tea break. Let's move onto Fish Tom Yum. Take another break and visit a Chinese temple. 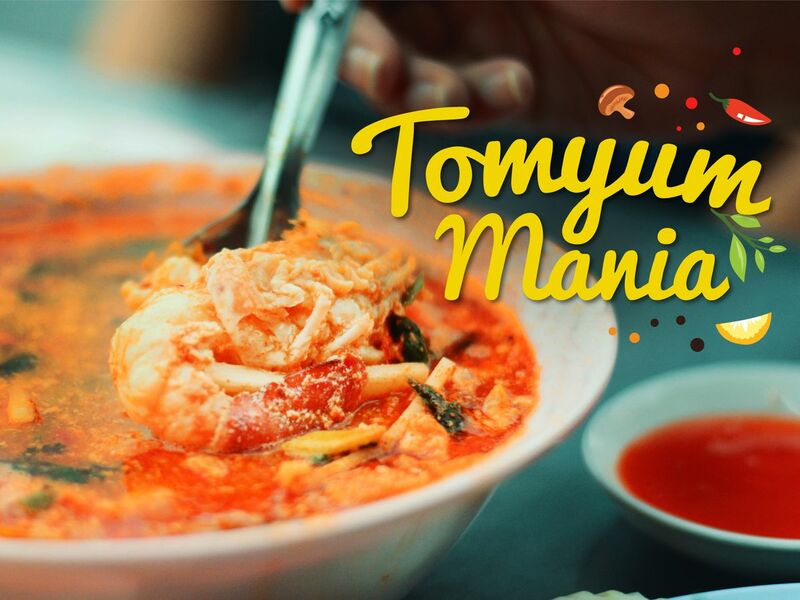 We head to Tha Prachan to try delicious Shrimp Tom Yum! Come with me, I will show you. why ​many restaurants put Tomyum on their menu, so anybody can eat Tomyum from everywhere but if you unsure where should eat the nice one. Everyone knows the most famous of Thai food is TOMYUM!!! I also love it but only local know where to taste the best Tomyum in town​. Tomyum everything isn't this unique enough​? It's time for Tomyum only!!! The gym near National Stadium is real Muay thai gym which professional fighter (including 2 champions) belong to. Wuttisak is a kind guy and told me about Muay thai itself and the gym. The trainer gave me the instruction of punch and middle kick. The training was a little bit hard for me, but I was so satisfied with it. After the training we had dinner with the staff and fighters. which was usual dinner for them. As a whole, I could find the real life of them and really enjoyed it. To be honest I didn't expect much at first but the trip turned out to be one of the most fun activities I've ever experienced in Thailand!!! Our local expert Tong was super friendly and easy-going. I really liked that he was not a scripted tour guide we usually encounter in tours with travel agencies. The place he took us was really local and genuine! It was super exciting to see Muey Thai fighters and even champions having their daily training and I felt previlaged to be trained in the same space right next to them!! The trainers were so good! They were very experienced and encouraging. It was my first time to try Muey Thai but I learned all the basic moves!! It was so enjoyable that I am actually planning to take a Muey Thai class now! Explore Phayathai & Savor the Signature Boat Noodle!